This second edition of a McConnell/London classic is better than ever! 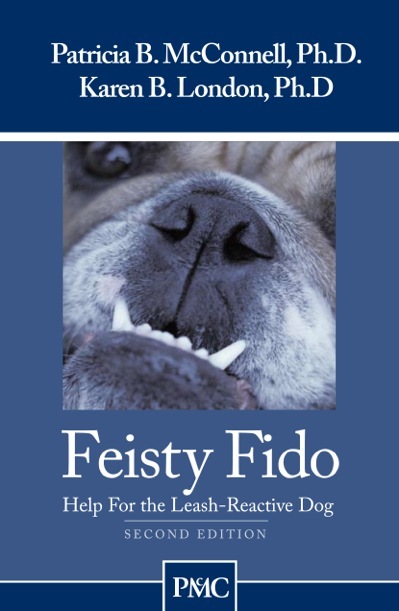 Updated and revised to be even more user-friendly than before, Feisty Fido is designed for anyone (novice or professional) who works with dogs who are overly reactive to other dogs when on leash. Whether your (or your client's) dog reacts by barking, lunging, stiffening or hiding behind your legs, this booklet is full of humane and effective dog training solutions to a common dog problem. It includes new sections on equipment, an expanded section on "Where's the Dog", and revised instructions for teaching "Watch". With plans for handling emergencies such as off-leash dogs who show up out of nowhere, this dog training program can make leash walks fun again, for you AND your dog.